PEARSON, BENJAMIN FRANKLIN, lawyer, promoter, financier, and politician; b. 4 April 1855 in Masstown, N.S., son of Frederick M. Pearson and Eliza Crowe; m. 31 Dec. 1876 Julia Reading in Truro, N.S., and they had one son and three daughters, one of whom married financier Fleming Blanchard McCurdy*; d. 31 Jan. 1912 in Halifax. Benjamin Pearson came from a proudly loyalist family. His great-grandfather, a plantation owner in South Carolina and an officer in the British provincials during the American revolution, moved with his family to Nova Scotia in 1784 and settled eventually in Truro, a township he would represent in the House of Assembly from 1806 to 1818. Frederick M. Pearson was first a merchant and small shipbuilder in Masstown, on the north shore of Cobequid Bay. With the decline in wooden shipbuilding, he moved his wholesaling business to Truro. 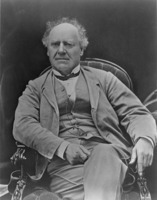 He became the Liberal mp for Colchester in 1870, the same year he sent his son Benjamin to Pictou Academy. Although possessing only average intellectual abilities, Benjamin worked hard and succeeded in entering Dalhousie College, Halifax, in 1872. After his first year, however, he was forced to return to Truro to help his ailing father’s business. With his father’s death in 1874 and his own marriage two years later, his stay was prolonged. Unable to study law at Dalhousie because of family responsibilities, he decided to proceed by articling. On being admitted a barrister in 1881, Pearson gave vent to his larger ambitions, moved to Halifax, and became a junior with Otto Schwartz Weeks*, a former attorney general of Nova Scotia. By 1884 Pearson had joined the partnership of MacCoy, Pearson, Morrison, and Forbes. Eight years later he became the senior partner in Pearson, Forbes, and Covert. He had already established himself more as a company promoter than as a lawyer. None the less, his legal career would be recognized: in 1904 he was made a kc, and in 1908 he was elected president of the Nova Scotia Barristers’ Society. Pearson’s earliest business ventures included the purchase of a steamship service between Halifax and Dartmouth and a railway connecting Dartmouth and the Musquodoboit valley. In 1887 he was an incorporator of the Nova Scotia Telephone Company Limited, which later that year arranged with Charles Fleetford Sise to buy all of Bell Telephone’s assets in Nova Scotia and New Brunswick. He was the key figure behind the formation of the People’s Heat and Light Company Limited, which intended to produce fuel gas as a source of heating and lighting in the Halifax region. In this capacity, he hired a firm from Boston to build a new gasification plant, and through it met two of the most important contacts in his life: Frederick Stark Pearson (no relation), one of America’s leading electrical engineers, and Henry Melville Whitney*, a steamship magnate and a real estate speculator and promoter who was converting Boston’s many horse-drawn tramways into a single electrified system. Through F. S. Pearson and Whitney, Pearson became convinced of the merits of electricity, which was just then beginning to revolutionize lighting and mass transportation systems in North American cities. Since the purpose of the People’s Heat and Light plant was to convert coal into fuel gas, Pearson began to study the many small firms operating collieries in Nova Scotia. He concluded that the industry suffered from cutthroat competition and fluctuating prices, as well as much duplication of equipment and transportation facilities, and that consolidation was necessary. Lacking the necessary capital for such an enormous merger, Pearson approached his two new American friends. Both were interested, in part because of their hope that Nova Scotian coal would become a cheap source of fuel for their electrical enterprises in Boston and area. During the winter of 1891–92 Pearson obtained options to buy most of the mines in eastern Cape Breton and, with the help of the Americans, purchased an idle colliery at Glace Bay for $80,000. 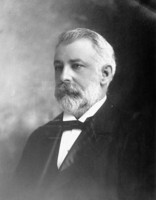 In mid February, however, Liberal premier William Stevens Fielding* announced an increase in the coal royalty from 7.5 to 10 cents per ton. This, combined with the government’s unwillingness to consider a long-term lease of mineral properties, turned the Americans sour on the merger. 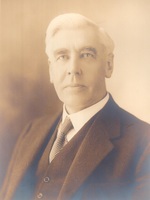 Pearson was in England negotiating the purchase of the Nova Scotia collieries owned by the General Mining Association when he was informed that Whitney and his group had withdrawn. Intimate with Fielding and his cabinet, he immediately returned to lobby the government. After meetings between Whitney and Fielding in April-May 1892, a compromise was reached. Pearson and his American associates received an extremely generous 99-year lease in return for paying a higher fixed royalty of 12.5 per ton. The length of the lease was unprecedented and faced stiff opposition inside and outside the legislature. The Liberals controlled the house, however, and the Dominion Coal Company Limited was incorporated on 1 Feb. 1893. The board of directors included Pearson (corporate secretary), Whitney (president), F. S. Pearson (engineer-in-chief), and David MacKeen (resident manager). One of the earliest Canadian examples of high-risk finance, Dominion Coal’s flotation of securities with a par value of $18 million involved an enormous issue of common stock to B. F. Pearson and his syndicate, who then passed on a portion to brokers and investors to help lubricate the sale of the bonds and preferred shares. Although stock watering on this scale would become familiar during the merger wave of 1909–13 in Canada, it was understandably greeted with scepticism and concern at the time, and Dominion Coal’s subsequent difficulties were often attributed to this initial act of what many considered to be reckless financing. Suffering a number of managerial, operational, and financial difficulties in its first years, Dominion Coal did not do as well as Pearson had hoped, and he was unable to profit from his common stock. Instead, he was forced to look for ways to improve the company’s performance. Unsuccessful in establishing new markets in the United States and Britain, he created two home-grown customers. The first was the Halifax Electric Tramway Company Limited, which he founded along with Whitney, F. S. Pearson, and William Benjamin Ross, a Halifax friend and lawyer-promoter who was also involved in Dominion Coal. Its charter of incorporation in 1895 authorized it to purchase the Halifax Street Railway Company Limited (a horse-powered system), the Nova Scotia Power Company Limited, and the Halifax Illuminating and Motor Company Limited. Pearson intended that surplus gas from People’s Heat and Light’s coal gasification plant would be used to stoke the boilers of Halifax Electric Tramway’s reconstructed power plant delivering electric lighting and transit service to the city. All the while, he tried to get Dominion Coal into the business of iron and steel making, the major industrial user of coal, even suggesting a merger with the Nova Scotia Steel Company Limited of New Glasgow [see Graham Fraser]. Rejected by Scotia, he established his own steel company in association with the same group that had helped him form Dominion Coal. After lobbying his close friend George Henry Murray*, the Liberal premier of Nova Scotia, as well as W. S. Fielding, now minister of finance in Ottawa, he got the terms he wanted, and the Dominion Iron and Steel Company Limited was incorporated in March 1899. Almost overnight, the company became one of the largest manufacturing enterprises in the country, and Dominion Coal’s single largest customer. Dominion Coal continued to experience difficulties, however, in part because of a low-price contract signed with Dominion Iron and Steel. 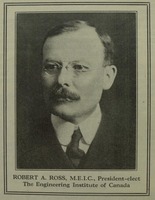 In 1901 control of both companies passed to a group headed by James Ross of Montreal. The flotation of Halifax Electric Tramway’s securities had made Pearson a great deal of money, and he eagerly sought out similar ventures. With the larger possibilities exhausted in Canada, he was among the first Canadian financiers to turn to the Caribbean and Latin America. Between 1897 and 1909, 11 Canadian-owned and operated utility companies were established there, and Pearson was involved in most of them, the only promoter to be a member of the three financial cliques – in Toronto, Montreal, and Halifax – responsible for these new ventures. The first, the West India Electric Company, incorporated in 1897, was a power, lighting, and tramway operation that served Kingston, Jamaica. The second was the Cuban Electric Company, a combination ferry service and electric railway connecting Havana with its suburbs across the bay in 1899. That same year Pearson promoted a hydroelectric facility designed by F. S. Pearson that would deliver power, lighting, and tram service to the São Paulo region of Brazil. Next came smaller lighting and electric streetcar operations in British Guiana (1899) and Trinidad (1901). Then in 1902 Pearson joined with F. S. Pearson in the creation of the Mexican Light and Power Company Limited, even persuading Charles Hazlitt Cahan* to leave his Halifax office and become the new company’s general counsel and on-site manager. 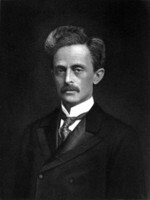 Two years later, he helped F. S. Pearson to promote the Rio de Janeiro Tramway, Light and Power Company Limited. In this enterprise he took on the underwriting of $1 million worth of bonds, of which $300,000 was sub-underwritten by other Halifax financiers. B. F. Pearson’s final hydroelectric utility was the Mexican Northern Power Company Limited in 1909. In many of these ventures he worked in concert with William B. Ross and the Scotia group, a powerful Halifax clique gravitating around John Fitzwilliam Stairs*. Although these were some of the richest investment opportunities of the age, Pearson made little money from them. 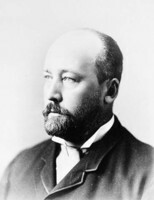 Unlike some of his fellow capitalists, such as Stairs, Sir William Cornelius Van Horne of Montreal, and George Albertus Cox of Toronto, he could not afford to have too many irons in the fire, and he was continually forced to sell the bulk of his holdings in any one enterprise in order to raise funds for the next venture. This necessity meant selling out before his companies became sufficiently established, in terms of share value, to make a large profit. Lack of funds or time did not dissuade Pearson from following his family’s tradition of electoral politics. 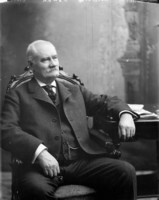 In 1901 he entered the Nova Scotia legislature as the member for Colchester County. Despite his poor attendance and allegations of corruption, he was re-elected five years later and made minister without portfolio by Premier Murray. 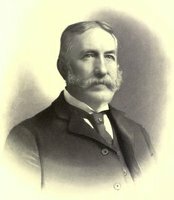 His appointment was criticized in some quarters because his various businesses involved him in questions of a political nature, but the Halifax Herald welcomed the greater influence given to Pearson’s interest in technical education, improved roads, amendment of the mining laws, reorganization of the Department of Mines, and forward immigration policy. Although he continued to devote more time to business than politics, he made one lasting contribution. He was instrumental in securing both political support and funding for the Nova Scotia Technical College, which began life in Halifax in 1909. Pearson was defeated in the election of 1911. By this time Pearson had become prominent as a publisher. Beginning with the acquisition in 1897 of the Halifax Morning Chronicle, the organ edited decades earlier by his intellectual mentor Joseph Howe*, he had bought up a number of newspapers, including the Nova Scotian and Weekly Chronicle and the Daily Echo, both of Halifax, the Glace Bay Gazette, and the St. John Daily Sun. In 1909 he used his Chronicle Publishing Company to bring out a new two-volume edition of Howe’s speeches and letters. He eventually purchased Emscote, the estate on the Northwest Arm where Howe had been born and where he himself died in 1912 after being bedridden for two months with kidney disease. PANS, MG 1, 1193; MG 3, 193; RG 7, 104; RG 39, CO, M, 11, file 12. Acadian Recorder, 1, 5 Feb. 1912. Blue Nose (Halifax), 27 Oct. 1900. Christopher Armstrong and H. V. Nelles, Southern exposure: Canadian promoters in Latin America and the Caribbean, 1896–1930 (Toronto, 1988). Industrial Advocate (Halifax), February 1899. Kyle Jolliffe, “A saga of Gilded Age entrepreneurship in Halifax: the People’s Heat and Light Company Limited, 1893–1902,” N.S. Hist. Rev. (Halifax), 15 (1995), no.2: 10–25. Don MacGillivray, “Henry Melville Whitney comes to Cape Breton: the saga of a Gilded Age entrepreneur,” Acadiensis (Fredericton), 9 (1979–80), no.1: 44–71. T. G. Mackenzie, “The Honourable Benjamin Franklin Pearson, k.c. : an appreciation,” Dalhousie Rev. (Halifax), 35 (1955–56): 362–69. G. P. Marchildon, Profits and politics: Beaverbrook and the Gilded Age of Canadian finance (Toronto, 1996). Street Railway Journal (New York), July, December 1899; 13 Jan. 1900; 5 May 1900: 433–36; 4 Aug. 1900; 8 June 1901: viii; 2 Dec. 1905. Gregory P. Marchildon, “PEARSON, BENJAMIN FRANKLIN,” in Dictionary of Canadian Biography, vol. 14, University of Toronto/Université Laval, 2003–, accessed April 21, 2019, http://www.biographi.ca/en/bio/pearson_benjamin_franklin_14E.html.